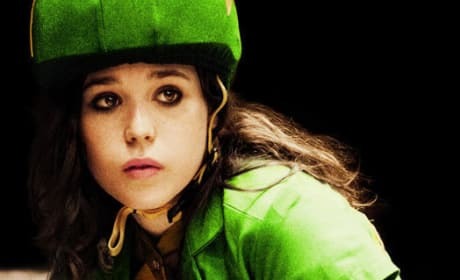 Ellen Page stars in Whip It! She's featured on the official poster for the movie, too. Ellen Page stars in this photo from Whip It. The movie marks the directorial debut of Drew Barrymore (also pictured). Girl In Restaurant: So what, are you all like alternative now? Bliss Cavendar: Alternative to what? The last time I wore skates, they had Barbies on them. Permalink: The last time I wore skates, they had Barbies on them.